At World’s Best Cat Litter™, we know our fans love big performance in a tiny package. That’s why we’re giving you another chance to use less, get more and win* big! 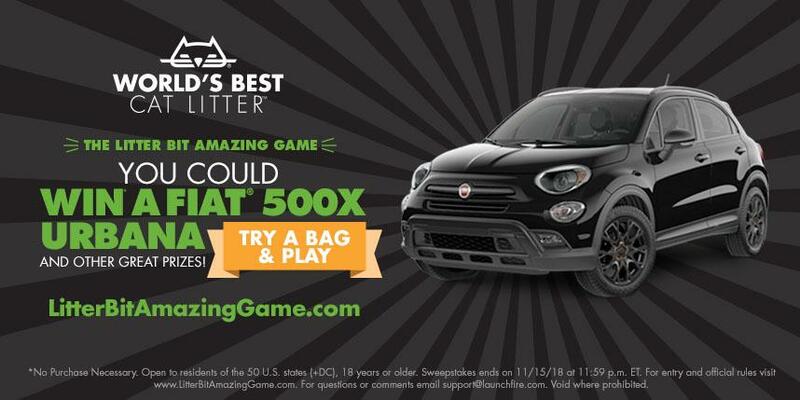 Play the Litter Bit Amazing Game from now until November 15, 2018, and you could win a FIAT® 500X Urbana, or $6,500 in other great prizes. 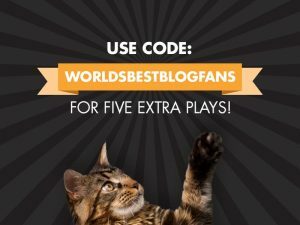 As part of the World’s Best Cat Litter™ community, we’re giving you five extra plays with the code “WORLDSBESTBLOGFANS”. Other ways to get additional plays include purchasing specially marked bags of World’s Best Cat Litter™, answering trivia questions about World’s Best Cat Litter™ and FIAT®, subscribing to our email list, and checking for new codes each week by following us on Facebook, Twitter, and Instagram. The Litter Bit Amazing Game also gives everyone a chance to GiveLitter™. Every time you play you could win a chance to donate 3 pounds to GiveLitter™ or get a coupon for $3 off any size bag or formula. 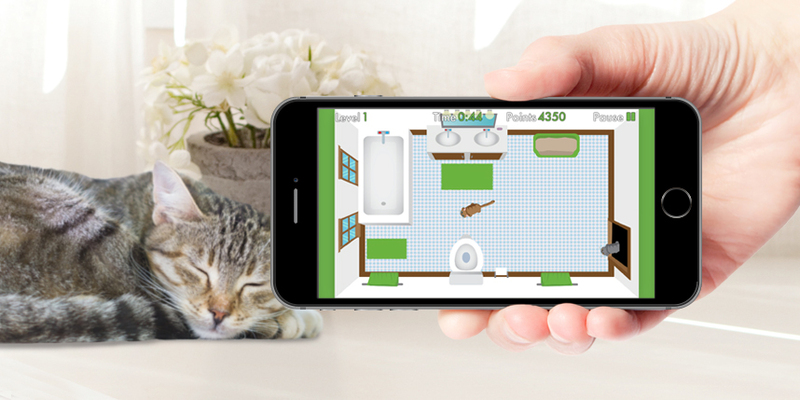 We hope you enjoy playing the Litter Bit Amazing Game. Good luck! *No purchase necessary. Open to residents of the 50 U.S. states (+DC), 18 years or older. 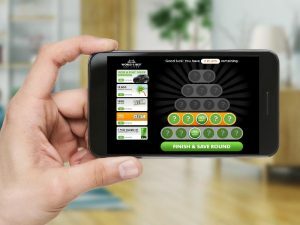 Sweepstakes ends on 11/15/18 at 11:59 p.m. ET. 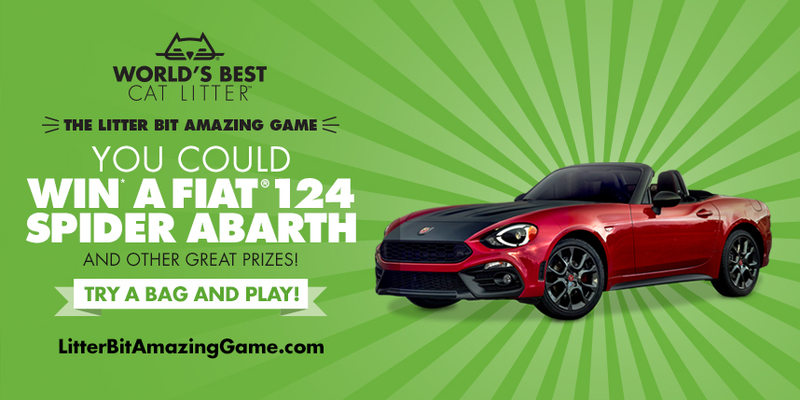 For entry and official rules visit www.LitterBitAmazingGame.com. For questions or comments email support@launchfire.com. Void where prohibited. Learn how World’s Best Cat Litter™ is rewarding fans this summer with the chance to use less, get more and win big!